This chapter examines the relationship between stock returns of companies listed in the FTSE-20 on the Athens Exchange and behavioral indicators. The research is based on the behavioral APT model, which examines stock returns' risk factors through the involvement of macroeconomic variables and behavioral indicators. The data is the closing price of 17 shares listed in the FTSE-20 index, a number of macroeconomic variables, and a series of behavioral indicators for the period of January 2001-December 2014. Regressions were conducted with dependent variable stock returns of a portfolio invested equally in these 17 stocks. In addition, the research tests the existence of long-run and short-run equilibrium and causality. The change in the industrial production index along with the risk premium have a positive and significant impact on the portfolio returns. Johansen's test showed that there is a long-run equilibrium between stock returns, macroeconomic variables, and behavioral indicators. The VECM and VAR models showed that there is not long and short-run causality, not even Granger causality. No similar research has been conducted in Greece, thus it fills a literature gap. This study examines the effect of behavioral indicators (Consumer Confidence Index, Investor Confidence Index, Producer Confidence Index and Economic Sentiment Indicator) in stock returns of companies listed in the FTSE-20 index in Greece, in the context of the Arbitrage Pricing Theory (APT). The economic and business environment is changing radically, due to new socio-political and economical conditions, globalisation, and rapid advances in technology and sciences. (Kennet et al., 2013). The most common approach of the association between macroeconomic variables and stock returns is the Arbitrage Pricing Theory (APT) developed by Ross (1976). Based on this theory, multiple risk factors can explain stock returns. The behavioral approach of APT is a recent concept, as only a few studies have attempted to incorporate those factors to the context of APT. One of these studies is that of Hasan (2010), who also found evidence for the significance of the Investor Confidence Index, together with macroeconomic fundamentals to explain the observed stock returns. Consequently, the effect of behavioral indicators cannot be taken into consideration while ignoring the effect of fundamental economic data within the APT. Identification of the number of risk factors for the FTSE-20 index stock returns in the period 2001-2014. Examination of the effect of Greece’s fundamental macroeconomic data in the FTSE-20 index stock returns in the period 2001-2014. Examination of the effect of behavioral indicators in the FTSE-20 index stock returns in the period 2001-2014. Several indicators have been suggested that capture the behavior of investors. One of those indicators includes the difference between bid and ask prices (Sewell, 2007). The bid-ask difference includes the difference between the highest price at which a buyer is willing to buy the stock and the lowest price at which the investor willing to sell the stock. Significant differences are found in assets not readily convertible into cash. Therefore, if important differences in stock are found, it practically means that the public is pessimistic about the course of the stock, as it is considered difficult to liquify (Talangi, 2004). H01: Behavioral indicators do not affect stock returns of the FTSE-20. H1: Behavioral indicators affect stock returns of the FTSE-20. Based on the fact that behavioral finance was created to reflect the effects on stock returns and explain the behavior of the stock market, the existence of a two-way relationship between behavioral indicators and FTSE-20 stock returns is expected. 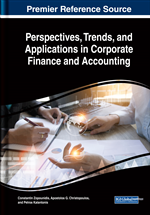 This chapter aims to discuss the literature background on asset pricing theories, with emphasis on the Arbitrage Pricing Theory (APT). Also, studies that aim to empirically examine the application of the APT model are presented, and whether this model can be analyzed in the context of a behavioral approach.